Incorporating high-performance, hybrid aspherical optical element in its optics, this new standard lens offers exceptional image-resolving power with outstanding brightness levels even at the edges, while compensating various aberrations to a minimum. 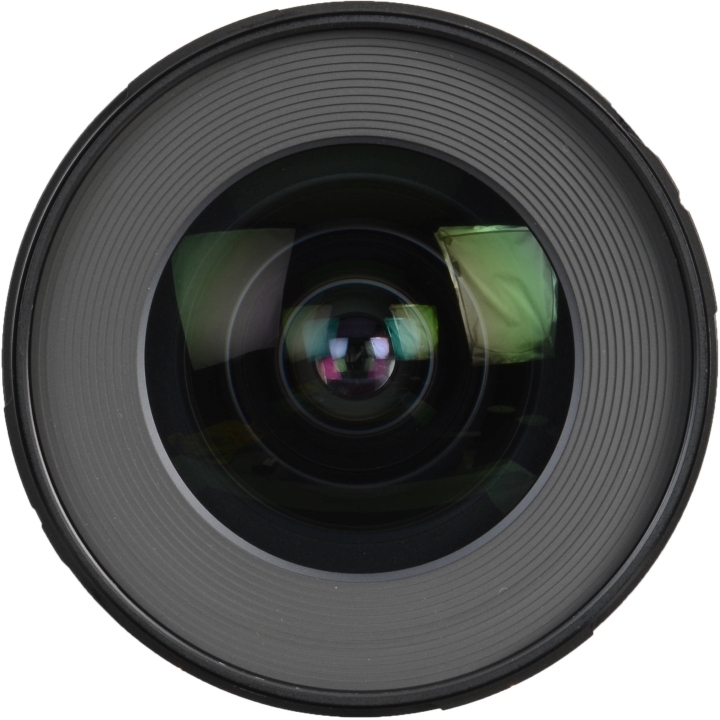 All lens characteristics are optimized for digital photography: for instance, flaringe and ghost images ghosting areare minimized by applying exclusive lens coatings to optical elements and employing anti-reflection materials for the interior of the lens barrel. 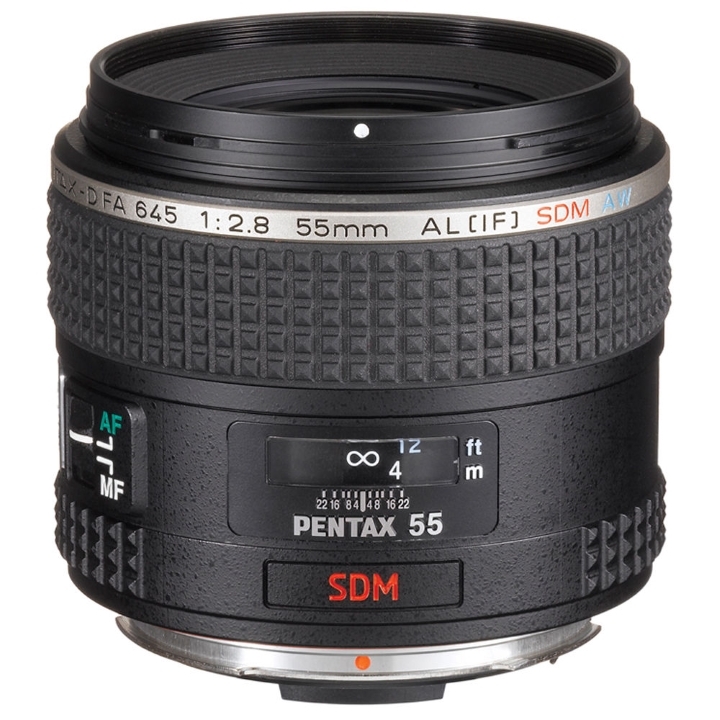 As the result, this lens can bring out the full potential of PENTAX 645 medium-format digital SLR cameras. 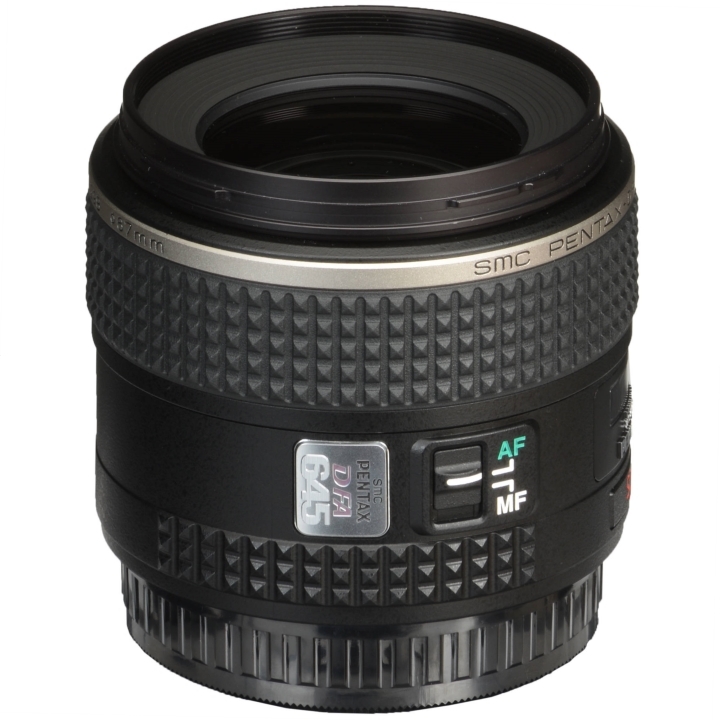 This fast, standard lens designed specifically for use with the PENTAX 645D. 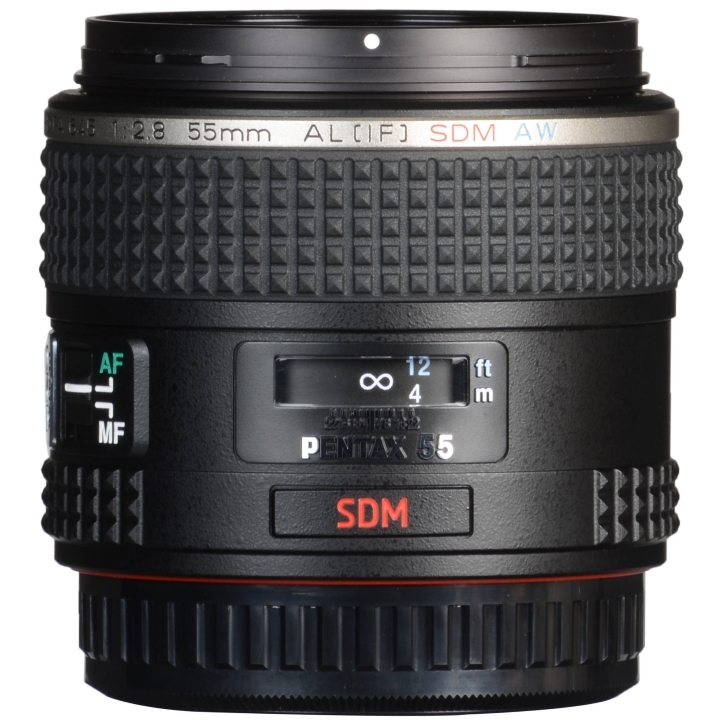 It features an advanced optical design tailored for digital photography, quiet SDM autofocus, and it's fully weather sealed for field use. Fast f/2.8 maximum aperture allows outstanding depth of field control, while maximizing shutter speeds for existing light photography. 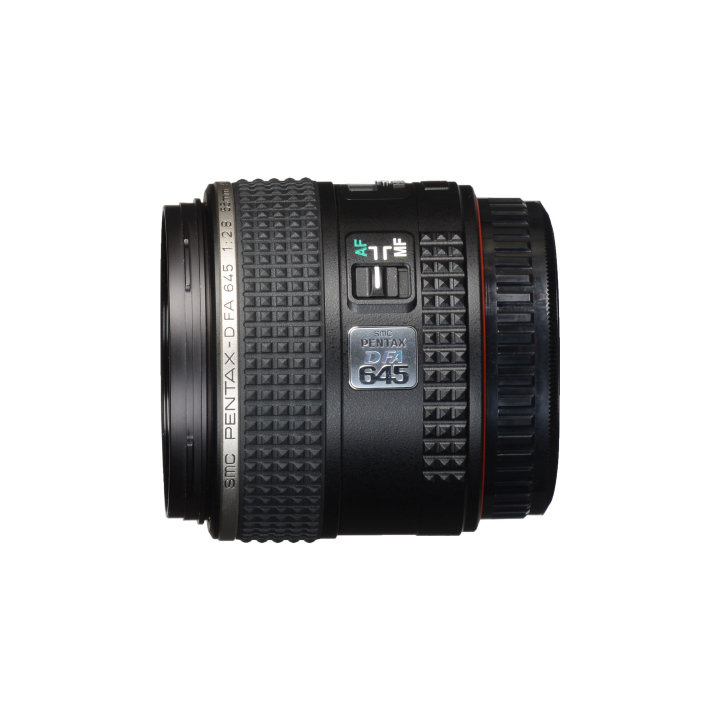 Fixed 55mm standard-length focal length lens. Advanced optical design, including lens curvature and optical coatings, is optimized for the exacting needs of digital photographic sensors. Fully weather-sealed design works with the 645D weather-sealed body for maximum reliability in the field. Curved aperture blades provide a circular aperture at f/5.6 for extremely smooth image bokeh.